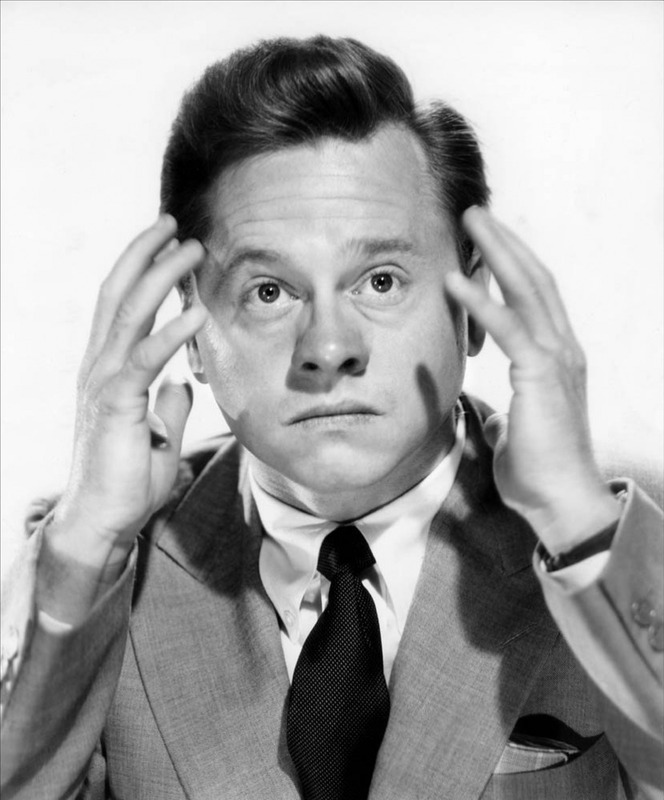 Born Joseph Yule Jr. to a Vaudeville couple, Mickey Rooney had on of Hollywood’s longest and most successful careers. According to family legend Joe Jr. crawled onto the stage at the tender age of 14 months. His father swept him up in his arms and introduced him as Sonny Yule. The babe found comfort in the warmth of the spotlight and never left. He would go on to appear films during each of the next ten decades. The first part of his stage name came from an early film role, starring in the Mickey McGuire films. A dispute with the studio prevented him using the full name during a stint in Vaudeville. His mother suggested Mickey Looney, but the young star chose to use the less frivolous Rooney. In 1937 Mickey was cast in what MGM intended to be a B grade picture. A Family Affair, and especially the character of the judge’s son, Andy Hardy, found unexpected success. Also in 1937 Andy became friends with Judy Garland while filming Thoroughbreds Don’t Cry. Rooney and Garland developed one of the greatest Hollywood friendships, and appeared together in numerous films, including three of the Andy Hardy series. Rooney’s breakout role was opposite Spencer Tracy in Boys Town (1933). Mickey put on a uniform for 21 months during WWII, his service completed just after the end of the war. Rooney continued to be a spokesman for Veterans Rights throughout the remainder of his life. Although he had been considered MGM’s most valuable talent in his youth, his career took a slight slump after the war. He appeared briefly on CBS old time radio show as Shorty Bell, Cub Reporter, and reprised his role as Andy Hardy with most of the movie cast supporting on the Mutual Network. Mickey was married eight times. Thought to be doomed from the outset, his first marriage to Ava Gardner before her career took off. Gardner later expressed that they were Hollywood kids who could barely take care of themselves, let alone a family. 6541 Hollywood Blvd for his contributions to Television. He shares a star with his last wife, Jan Rooney, at 6801 Hollywood Blvd for Live Performance in association with Rainbow Puppets Productions. This entry was posted in Mickey Rooney, Obituary and tagged Mickey Rooney Obituary, old time radio shows. Bookmark the permalink.